New Exhibit Heading to the Science Center! It has been an exciting year at the Science Center as we encouraged kids to scream as loud as they can in the Scream Chamber, learned how sound waves work in Seeing Sound, and played a piano with their bodies under the Invisible Orchestra. But as the school year starts and everyone begins to focus on school again, we will take this time to switch out "Sonic Sensations" with our brand new exhibit "Oceans: Acid vs. Life." In order to do this we will be closing down for two weeks between August 22nd and September 5th. This will give us time to make sure everything is ready for this next school year! Our new exhibit "Oceans: Acid vs. Life" will focus on marine life and the coral reef systems around the world. Coral reefs around the world are under assault and a team of professional and citizen scientists recently went diving in Belize to understand what's happening and to document the danger. The Belize Reef Acidification Expedition brought back images and data that form the basis for this new exhibit, supported by videos, animation, and interactive stations. Visitors learn about acidification at six live action and computer animated video stations. 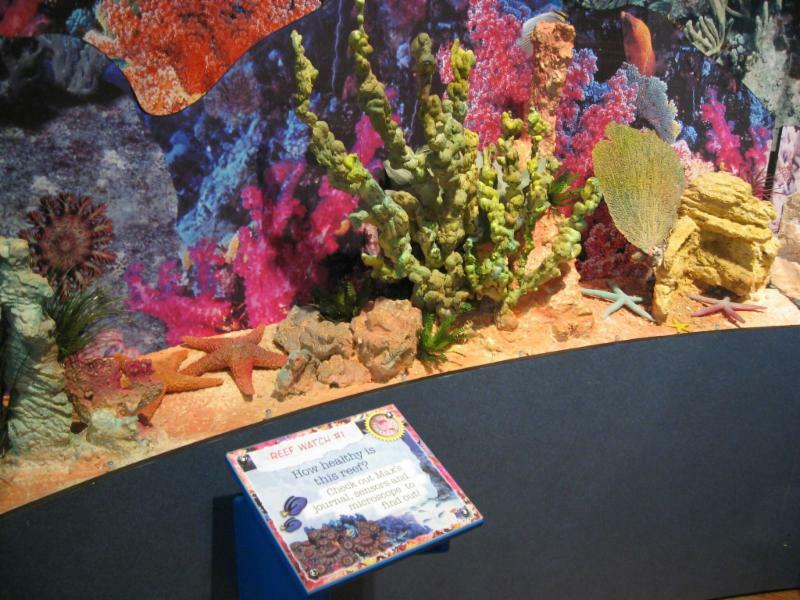 Energetic kids can learn what a coral reef is and crawl through a life-size replica. Visitors gain perspective on the diversity of reefs in displays of shells. Explore coral, sponges, and other marine life with a microscope. Don't miss out on our brand new exhibit "Oceans: Acid vs. Life" that will be opening September 9th! For any questions about the exhibit feel free to call us at 903-510-2312.